New Balance and Paul Smith have joined forces to launch a footwear collection made at the shoe retailer’s UK factory in Cumbria. 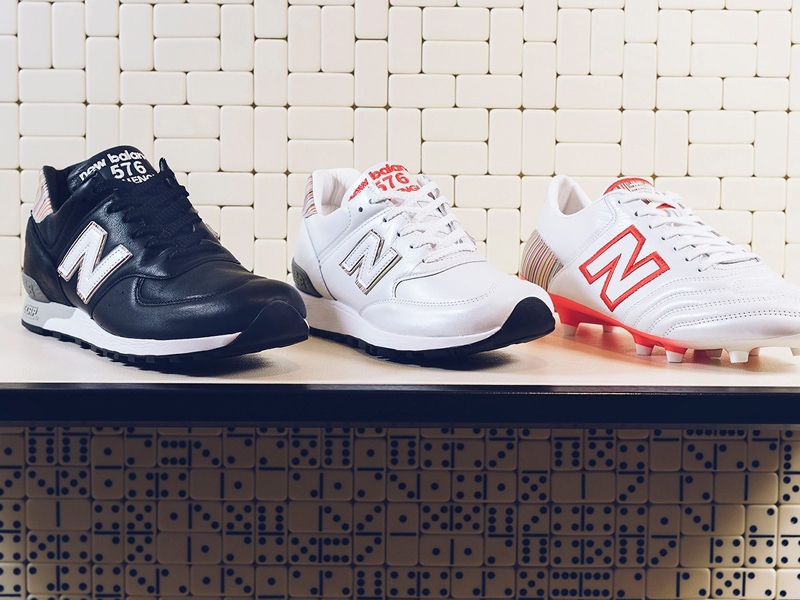 The range includes a men’s football boot, a men’s and a women’s trainer and three uniquely designed footballs, and celebrates the 30th anniversary of the New Balance 576 trainer – one of the most popular trainer styles to be manufactured in the UK. 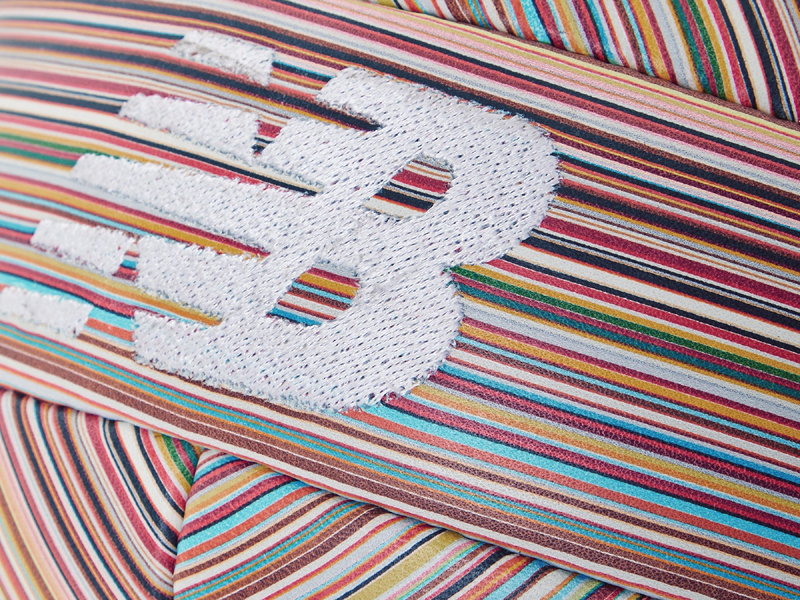 Paul Smith’s signature multi-coloured stripes appear throughout in trims, insoles, tongues and back heels, while New Balance keeps its classic ‘N’ logo and Made in the UK detail across the range. The football boot is made using White K-leather and shows red accents, while its Lightweight Super-Flex Nylon sole plate delivers superior traction, comfort and durability. The men’s Made in the UK 576 trainer is made from Black K-leather, which translates into White K-leather in the women’s trainer. Both styles are dressed with a full premium leather upper and C-CAP compression-molded EVA midsole cushioning. “Collaborating with such an iconic fashion brand and working alongside the artisan designers at Paul Smith has been a pleasure. We’re proud to have manufactured athletic footwear in the UK for the past 35 years, and we remain one of the only global athletic brands to do so,” said Kenny McCallum, general manager of New Balance Football. Only 1,008 pairs of the men’s trainer and football boot will be available to buy, alongside 504 pairs of the women’s shoe. The collection also includes three hand-stitched, leather footballs, featuring Paul Smith’s stripe print all over and an innovative 18-panel configuration to help reduce drag. There is a Leather Football, a Pro Destroy Football and a Furon Miniball.